A negative credit history can make it hard for anyone to acquire a new vehicle. However, leasing a car with bad credit is possible if you are able to contact the right lender and fully understand the leasing process. 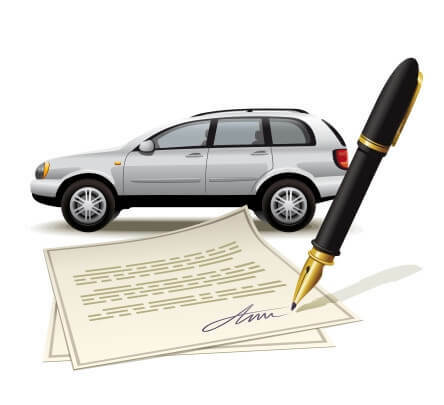 Before signing an agreement, confirm the car lease terms to make sure that you can afford the payment. Keep in mind that interest rates will vary depending on the condition of your credit, therefore, your lease payment will also vary. When you lease a vehicle, you are essentially borrowing an automobile from the dealer. Most leases have fairly low monthly payments along with an annual mileage limit. If you drive more miles than your lease agreement permits, then you can expect additional charges when you turn the car in unless you are in a position to finalize a purchase at the end of your lease. Even though leasing a car with bad credit is possible, you should still be sure to work with a reputable lending company. In some cases, your credit history may cause lenders to deny your lease request. When you are denied, we at Auto Credit Express recommend using a co-signer, as he or she may be able to help you qualify for car lease approval. The co-signer should have a better credit score and be willing to take over the lease payment if you are unable to pay for it. It is also worth noting that the decision to lease a car with a bad credit rating may lead to a higher down payment amount. Every car buyer should know that local auto dealers and lease companies may take into account the reason that you have a bad credit rating. For instance, you may gain approval if your negative credit rating has occurred because you've been out of work for a while or have had unexpected medical expenses. Bad credit that is the result of sudden hardship is often referred to as "situational bad credit." It's important to remember that in most cases, car leases are for new vehicles. Therefore, you'll be able to have a reliable automobile while paying reasonable lease rates. Furthermore, if you decide to purchase the car after the end of your lease, then you'll know the car's maintenance and accident history, which will be one less thing to worry about.